I am truly amazed. I only ordered yesterday and my parcel was out in my letterbox this morning!! All correct as per order. This is the first time I've had such speedy service from any Australian source. Share up to 4 USB Devices, between two PCs or Macs! 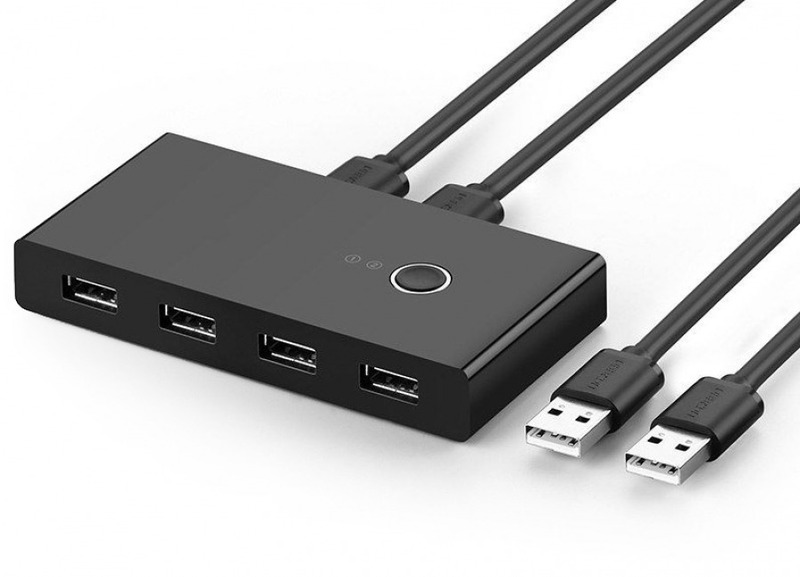 Simultaneously connect multiple PCs to access a single USB peripheral. Great for sharing a printer or scanner without swapping cables every time. Select the host PC by pressing a button. If you would just like to share one USB device between 1-4 computers, then check out our 1x4 USB Sharing Switch. This USB 2.0 Sharing Switch offers a cost effective solution for the small business or home user to manage their device network. This compact switch allows up to 2 host devices (PCs, Laptops, Netbooks, Media Players, etc) to share up to four USB device such as a printer, scanner, or USB/HDD drives. Simply switch between host computers at the press of a button, granting access to connected USB peripherals to the alternate computer. This switch supports USB 1.1 & USB 2.0 and comes supplied with four USB Type-A (Male to Male) cables. Only one input device (host) can access the output (peripheral) at a time. Because no drivers are required, this switch is suitable for use with all USB hosts, including TVs, Blu-ray players and Consoles for sharing compatible devices such as USB flash drives. However, this switch is not independently powered, so only the available current from the host devices is available to the peripheral. Fully compliant with USB 2.0 standard.